I recently had the pleasure of working with two nonprofit organizations on developing vision, mission, and core values language — essential dimensions of the strategic planning process. One organization is well into its second decade and the other is a start-up. If executive leadership is struggling to describe what the organization does and where it’s going, what must the board, staff, and extended community be going through? The task before us was to make explicit what was implicit to organizational leadership so readers and listeners could viscerally connect and understand the organization’s day-to-day business and longer-term vision. Bold and energizing descriptions of a nonprofit’s activities are more important than ever. They play a leading role in governing resource development and their allocation, marketing, and communications while clarifying what the organization is aiming to accomplish over the longer term. Both of the organizations described below approached the initial steps of the process differently. The first convened a staff and board of over twenty stakeholders during an all-day retreat. The second discussed challenges over a more intimate dinner with a few trusted colleagues. Both organizations engaged additional community members to subsequently weigh-in at appropriate times. Whether yours is a start-up or more established, perhaps these two organizations will inspire a second look at critical dimensions of strategic planning. MYO is twenty-three years old and started a strategic planning process two years ago, but transitions in organizational leadership and other challenges delayed follow-up activities. A funding application for a governance grant illuminated areas to strengthen, such as a vision for the organization. The vision wasn’t explicitly stated and “lives in the head of MYO’s founder” said Anthea Jackson, executive director. Over the past couple of years, MYO has grown from 650 to 950+ members, added four new ensembles, and increased the size of the board from seven to eleven members. Anthea described the growth process as “throwing a lot of spaghetti against the wall to see what sticks.” In this context, the leadership team wanted a deliberate strategic framework for governing growth along with a process to engage stakeholders in moving the organization forward. Metropolitan Youth Orchestra of New York board/staff strategic planning retreat at the Smithtown Country Club, Long Island. August 30, 2015. A board/staff retreat focused on getting the key members of the MYO community, quite literally, on the same page. Working teams developed drafts of vision, mission, core values language and established a strategic planning team to further the work with specific, targeted goal dates. A smaller sub-committee of “synthesizers” is whittling at the language until it is ready to share (along with some strategic goals) with the broader community at a public launch celebrating the organization’s renewed energy and direction. In 2009, Terri Wingham was diagnosed with breast cancer. By 2011, her final surgery was behind her and she found herself grappling with feelings of isolation, depression, survivor guilt, and anger. Through volunteering and travel experiences, Terri began to formulate some ideas for addressing the emotional and psychological aspects of cancer through personally meaningful travel and volunteerism. 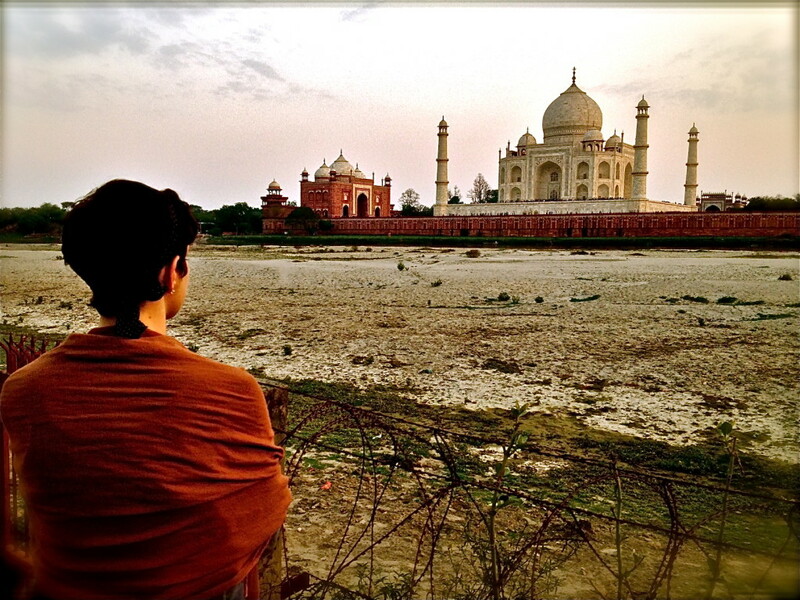 In February 2013, twelve men and women joined her for a two-week pilot program in New Delhi, India. While this and other travel odysseys resulted in various “Ah-ha” moments for cancer survivors turned volunteer travelers, she found herself scrambling to find the “missing bunny in the magician’s hat” as she struggled to verbalize a vision and mission. Over a March 2015 dinner in New York City, Terri, myself, and a few colleagues helped answer a question that haunted her, “How would we grow or become sustainable if I couldn’t paint a clearer picture of who we are and why it matters?” We explored that question through the remainder of the evening. Read more about Terri’s vivid and beautiful odyssey on her blog. Are you a magician searching for the missing bunny in a hat? Or a visionary who energizes your community with a bold, vivid, and audacious description of your world after your mission has been accomplished? I think that organizational leaders tend to be a bit of both at different times during their leadership tenure. However you describe yourself, strategic success is shaped by the degree to which organizations can find the clarity that Terri is talking about and the courage demonstrated by Anthea, who is developing a vision for her organization in its twenty-third year after being in her position for no more than two. Ah! The magic of courageous clarity. Register here. Learn more about organization redesign and review the agenda here. Is it Time to Realign? 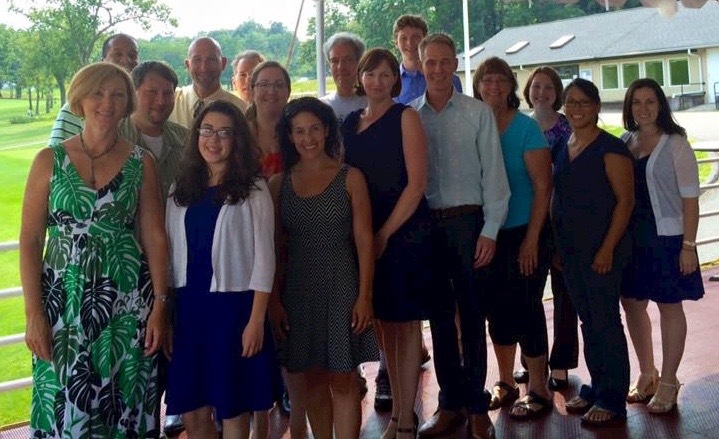 I was one of the lucky consultants from New York, New Jersey, or Connecticut selected by the Support Center | Partnership in Philanthropy to take some first steps in developing a community of practice around how nonprofits can work together. Facilitated by Renae Oswald-Anderson and Gordon Goodwin of MAP for Nonprofits (Minnesota), the two days took an introductory deep dive with affiliate consultants and senior associates to explore case studies in realignments along a continuum that includes collaboration, administrative consolidation, joint programing, program transfer, parent subsidiary, joint venture, and merger/acquisition. Detailed descriptions of each of the continuum strands are available here. Organization realignments are becoming part of long term programmatic sustainability and/or growth conversations for more and more nonprofits. “Growth” and “sustainability” can be achieved in a variety of ways – not just by attracting more revenue. Courage: it is often possible to sustain and even grow a worthwhile program if the primary stakeholders are willing to let go of a few things and focus on the mission no matter how dire the circumstances (financial and otherwise). It appeared as if programs were lost in a couple of case studies. But those programs ultimately survived and thrived because of a facilitated joint process that focused on continued service to the community. Fierce courage to let go of what can often feel sacred is likely to be required of each person at some point in the process. Trust: challenges arise during all stages that could test you and your colleagues personally and professionally. Good communication and transparency can help build trust that will help sustain the conversations. In addition (and this will sound a bit self-serving – my apologies in advance) but the evidence also underscores the importance of an outside consultant to facilitate the entirety of the process. Visionary leadership: respondents from 95% of mergers in the MAP for Nonprofits study agreed that “if not for one of the executive directors, the merger would never have happened.” In 61% of the cases, “having a board member from at least one of the pre-merger organizations pushing for a merger was a primary reason” for pursuing it. Sense of urgency: realignments can “lag” without it. Executives retire and board leaders transition. Redesign of any kind needs sustained transformational champions to succeed. Constant change among leadership can destabilize and, in many cases, bring the process to a halt. 78% of merged partners agreed on a defined process, 63% specified outcome goals and 80% completed a timeframe. Working with other organizations on behalf of communities can leverage existing resources and sustain programs that might struggle otherwise. What’s the next step for your nonprofit? Can it get there on its own? If not, perhaps it’s time to realign! Please contact Keith Timko, Support Center│Partnership in Philanthropy, at ktimko@supportcenteronline.org or (917) 522-8308 to get the conversation started. MAP for Nonprofits. Synopsis: Success Factors in Nonprofit Mergers. Study, Saint Paul: Wilder Research and MAP for Nonprofits, July 2012. Support Center | Partnership in Philanthropy. Change Consulting – Organizational Restructuring and ReDesign. June 2, 2014. http://supportcenteronline.org/change-consulting/change-consulting-restructuring/ (accessed June 2, 2014). Human resource management and strategic planning topics appearing in the Rumohr and Clarke Nonprofit Blog are listed below — all in one place so you can easily find the information when you need it. The topics have also been compiled into two free guides. Title 2.3 in the Video and Template Library. 1. What Is Strategic Planning? Titles 3.10 and 4.4 in the Video and Template Library. * This topic is not included in the Guide. Prefer to watch a video? Many of the HR topics above are also available in the Video and Template Library. Click here to go there. Strategic planning topics of the Rumohr and Clarke Nonprofit blog have been compiled into the free booklet, Strategic Planning for Small Nonprofits and Emerging Leaders, available for download at the Video and Template Library. The nineteen page guide is ideal for in-service nonprofit professionals, entrepreneurial start-up founders, or anyone who wants a “crash-course” on the fundamentals of strategic planning. This free online resource furthers Rumohr and Clarke’s mission to strengthen small nonprofits and emerging leaders through comprehensive consulting services, coaching, and online content. Post your comments, questions, and discussions on the blog! #1 Collaborate on the creation of the plan: Jeanne Bell of CompassPoint suggests “Rather than stepping back or working clandestinely behind the scenes, I believe the planning process is best served by executive directors modeling for all on staff and board the qualities that are most likely to lead to transformative decision making: courage, condor, pragmatism about competitive advantage in the marketplace, and financial savvy” (Bell). #2: Share your plan: write it up, turn it into a living online document, or broadcast your vision through a short film. Elegantly use photos, quotes, and impact data for stakeholders to feel and connect with your work. See “Framework for a Basic Strategic Plan Document for a Nonprofit” by Carter McNamara for frameworks and templates. #3 Progress report: many strategic plans fail because they’re not managed once they’ve been developed. Report on your progress to internal and external stakeholders in a graphically engaging way using charts, dashboards, and images so it is appealing to the eye. Remember that staff, board, and volunteers are stakeholders, too, and internal reports don’t have to be dull. #4 Celebrate and share successes: recognize key players who help achieve strategic goals or who grow significantly through the process. These days it doesn’t have to be done at a party. Tweet it or share a photo op on your company’s Facebook page. #5 Failures can be teachable moments: it’s easy to get discouraged if you don’t reach a strategic goal. Reflect on why you didn’t get there. Be frank and honest. Lead by example. What could you have done differently or what did you learn from the experience? Model for your teams what you want to see in them. #6 No sacred cows: get rid of them! Successful 21st century nonprofits will let go of old ideas that don’t work or those ideas that have grown immune to analysis. You might have to reconsider how you do what you do and embed resources in the budget for professional development of board and staff in order to remain competitive. #7 Adaptive change: endow your teams and the plan itself with permission to change, evolve, live, and grow. Have courage to make midcourse corrections based on credible evaluations. That doesn’t mean changing strategic goals just because they’ve grown inconvenient! Reflect on why you didn’t achieve the goal or celebrate when you do but don’t change the goal post until you and your teams have had a hard look at the game plan. Change can be hard but it is going to happen today more rapidly than ever before. Successful strategies embed opportunities for change. “Stance: The E.D.’s Role and Attitude in Strategic Planning” by Jeanne Bell: various attitudes of executive directors are explored in this Blue Avacado blog. Why should organizations take resource cultivation cues from overall organizational strategy instead of the other way around? The reason is simple. If an organization allows the fundraising process to determine the overall strategic direction then it is implicitly suggesting that funders determine the organization’s course. While funders and other supporters are important stakeholders, handing over the leadership reins can feed a “chasing money” syndrome in which the organization is tempted to do something they wouldn’t normally do because of an RFP or other resource – not good leadership in my view. In this case, the organization might create projects and programs and find itself up an absent resource river when the money dries up and the organization is left trying to sustain something it should never have started. What if, for example, an organization succeeds in obtaining grant money that is antithetical to its core values and loses several key staff members in the process? It is different if the impulse to begin a new project or program comes from a thoughtful strategic planning process at the organizational level and it sees an opportunity, such as an RFP, and seizes it. In this case, a strategic planning process would identify resources over which development aces could go to work. Funders can and should be involved in those conversations as responsible citizens of the social enterprise. Nonprofits have an opportunity to lead dialogues that include instructive conversations between funder and nonprofit. It’s a relationship in which some funders don’t know what they don’t know and benefit from thoughtful and discreet teaching and learning about the fields they’re supporting. The organization is the horse. Not the cart. They need each other to go anywhere but knowing who and what is driving the vision, mission, and everyday operations is essential to identifying, cultivating, and sustaining appropriate resources. Next up: tips for creating a plan. Is Your Nonprofit Site Mobile-Ready? Cultural Data Project – Friend or Foe?